Monday – 12 November 1974: A 9lb salmon is caught in the Thames – the first time that such a fish has been caught in the dirty old river since 1834 – and sent to the British Museum for identification. Improvements in the water quality are hailed. Tuesday – 13 November 1642: During the First English Civil War, the Royalist and Parliamentary armies face off against each other in the Battle of Turnham Green. Thursday – 15 November 1977: ... and four years later gives birth to their first child, Peter Mark Andrew Phillips, at St Mary’s Hospital in Paddington. Friday – 16 November 1961: Franklin Roy Bruno is born at Hammersmith Hospital. He would become a successful boxer, winning the WBC Heavyweight championship, as well as a pantomime ‘celebrity’. The gates in the city wall of Londinium were: Aldgate to the east, Bishopsgate, Cripplegate and Aldersgate to the north, and Newgate and Ludgate to the west. The Roman city was bordered on the south by the Thames, so no wall or gates were needed there initially (although a riverside wall was later constructed). 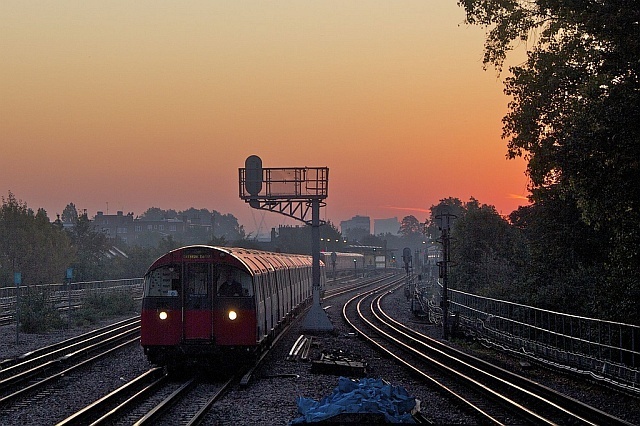 Picture by ianwyliephoto via the Londonist Flickr Pool.